Marni's current Creative Director, Francesco Risso, says he always thinks of Consuelo Castiglioni's fans while designing - she began the label with bold separates and sculptural shapes. 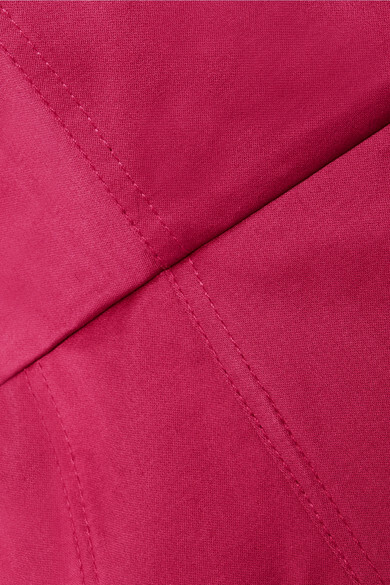 Well within her vision, this top has been made in Italy from bright-pink cotton-sateen. It's finished with a structured peplum and two circular zip pulls. Wear yours with the coordinating skirt. Shown here with: Marni Tote, Marni Sandals, Marni Earrings.